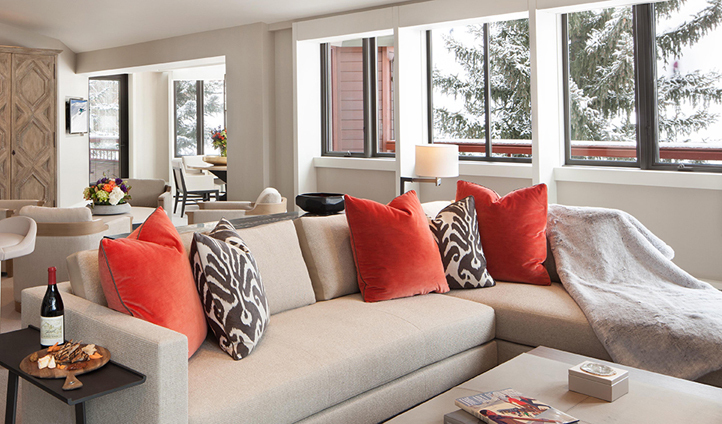 The Little Nell offers luxury comfort in a premium location at the base of the awe-inspiring Aspen Mountain. With spectacular views across the mountainscape and the picturesque alpine town, a cosmopolitan yet cozy interior decor as well as a luxurious fine-dining restaurant headed by executive chef Robert McCormick, this is the perfect place to rejuvenate mind, body and spirit. Nestled at the base of Aspen Mountain and in the heart of downtown Aspen, The Little Nell is perfectly situated for exploring the surrounding area. The famous ‘Power of Four’ mountain range is right at your doorstep, including Aspen Mountain, Aspen Highlands, Snowmass and Buttermilk. This is the ultimate base for exploring America’s most famous mountain resort- so take a deep breath of alpine air and go play. The Little Nell boasts fresh and contemporary yet cozy and definitively alpine decor, with breathtaking views of Aspen Mountain and charming downtown Aspen. With a palette of muted tones including maple wood and soft cream bed linens, the rooms are a haven for rest and relaxation. All bedrooms include a stone-clad gas-log fireplace, flat screen LCD television, Blu-Ray DVD player, sound system with iPod docking station, high-speed Wi-Fi access and five-point baths adorned with His-and-Her Caesar stone vanities, Crème de Marfil heated marble flooring and walls and exclusive all natural “First Tracks” June Jacobs spa amenities. Apart from its premium location at the foot of Aspen Mountain which goes without saying, The Little Nell brings together luxury and style that epitomizes modern-day notions of Aspen without compromising the small town charm on which it is founded. 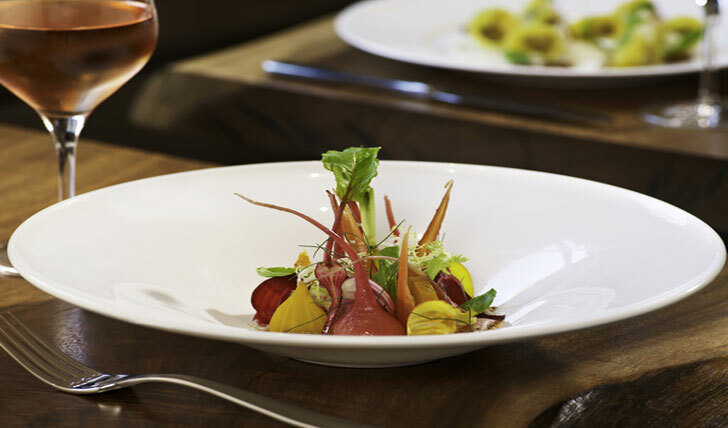 Its fine-dining restaurant, ‘element 47’, is Aspen’s newest restaurant and opens its doors to a new concept of haute cuisine, forging the way for soulful American cooking based on fresh seasonal ingredients to be appreciated in a luxury setting. The Little Nell also has an Adventure program organized with the expected flair synonymous of the hotel and that includes an array of fun activities such as fly fishing, biking and golfing, as well as some that are more obscure – why not try Cowboy Camp, stand-up paddle boarding or Geocaching? On this basis and more, it is easy to see why The Little Nell has earned its reputation as Aspen’s most legendary hotel and a place on in our hearts.